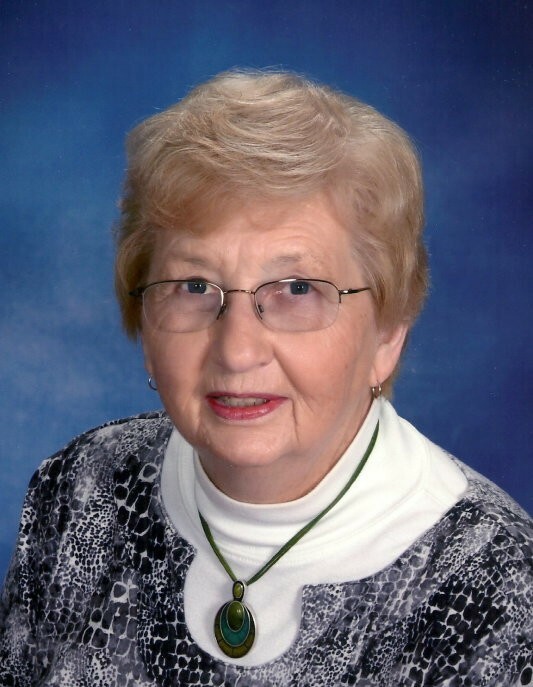 Jeanette Marion Newman Myers, age 89 of Lake Waynoka, Ohio, died Friday, February 1, 2019 at the Villa Georgetown Nursing Home in Georgetown, Ohio. She was retired from National Bank and Trust. She was also an active member of St. George Catholic Church in Georgetown, Ohio and loved singing in the choir and playing piano. Mrs. Myers was born December 16, 1929 in Nashua, Minnesota the daughter of the late Fred and Susan (Aldrich) Eyestone. She was also preceded in death by two husbands – Gene Newman and John Myers; three brothers – Bob, Jim and Joe Eyestone; two sisters – Gertrude Eyth and Katherine Davidson; one son-in-law – Lowell Reid. Mrs. Myers is survived by three children – Donald Newman of Aberdeen, Ohio, Cheryl Reid Fender (Randy) of Lake Waynoka, Ohio and Tammie Mers (Rick) of Georgetown, Ohio; six grandchildren – Chad Reid of Cincinnati, Ohio, Brandon Reid (Melana) of Winchester, Ohio, Daniel Newman of Aberdeen, Ohio, Barbie Evans (Ryan) of Mt. Orab, Ohio, Amanda Garvie (Greg) of Lynchburg, Ohio and David Mers of Georgetown, Ohio; seven great-grandchildren – Cody Reid (Kerry), Andrew Reid, Megan Reid, Cooper Reid, Ava Evans, Christopher Garvie and Samantha Garvie; two great great-grandchildren – Janessah Reid and Payton Reid; three sisters-in-law – Delores, Katie and Joan Eyestone, all of Minnesota. Funeral services will be held at 1:30 P.M. on Thursday, February 7, 2019 at Cahall Funeral Home in Georgetown, Ohio. Rev. Dohrman Byers will officiate. Visitation will be from 11:00 A.M. to 1:30 P.M. Thursday, also at the funeral home. Interment will follow the funeral service in Confidence Cemetery in Georgetown, Ohio. If desired, memorial donations may be made to: Stein Hospice or the Brown County Humane Society.